Developments within the cultural sector force higher education in arts and culture to adapt and implement these changes in bachelor’s and master’s degree programmes, as these are responsible for training future culture professionals. 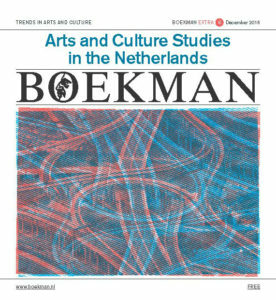 In this Boekman Extra Kimberly van Aart presents an overview of arts and culture studies offered in the Netherlands in the academic year 2016/2017. It contains all fulltime bachelor’s and master’s degree programmes that are publicly funded, and offered by institutions that are either a member of the Netherlands Association of Universities of Applied Sciences (Vereniging van Hogescholen) and the Association of Universities in the Netherlands (VSNU). Languages and specialisation opportunities are charted as well, thus compiling a comprehensive outline of study programmes.